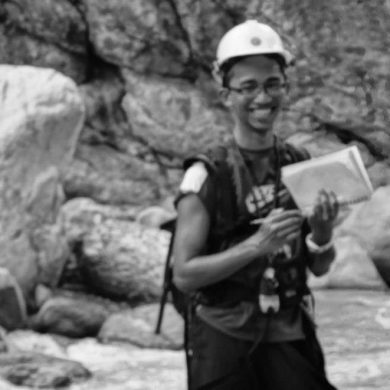 With my background in geology, I am primarily interested in studying the occurrence of earthquakes in relation to tectonics in the local and regional scale, and how associated geologic structures evolve through time. My current research focuses on using remote sensing coupled with field investigation to understand the earthquake cycle. The growing availability of high-resolution remotely-sensed data allows us to target areas that are deprived of detailed investigations. In terms of earthquakes, the importance of this is two-fold: we are able to understand not only the processes leading to and resulting from earthquakes, but also the potential risk of populations that are and could be exposed to earthquake-related hazards. For example, in the Philippines — where most of my existing research has been on — recent significant earthquakes happened on previously unidentified faults. Similar situations happen all over the world, often to enormous socio-economic detriment. Remote sensing has the potential to reduce these negative impacts, as well as aid our understanding of the underlying tectonic processes. My DPhil is funded by the Newton PhD Programme, through the British Council and the Commission on Higher Education (Philippines). I am also on study-leave from teaching in the University of the Philippines – Diliman. M.A. Aurelio, J.D.B. Dianala, K.J.L. Taguibao, L.R. Pastoriza, K. Reyes, R. Sarande, A. Lucero Jr., Seismotectonics of the 6 February 2012 Mw 6.7 Negros Earthquake, central Philippines, Journal of Asian Earth Sciences, Available online 16 December 2016, ISSN 1367-9120, http://dx.doi.org/10.1016/j.jseaes.2016.12.018.